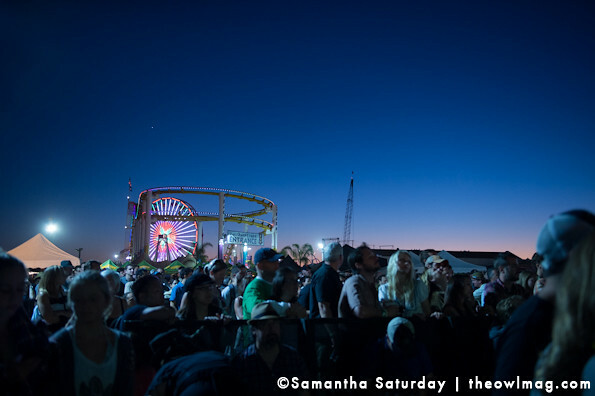 It may be October but summer carried on this weekend at the Santa Monica Pier for the inaugural Way Over Yonder festival. 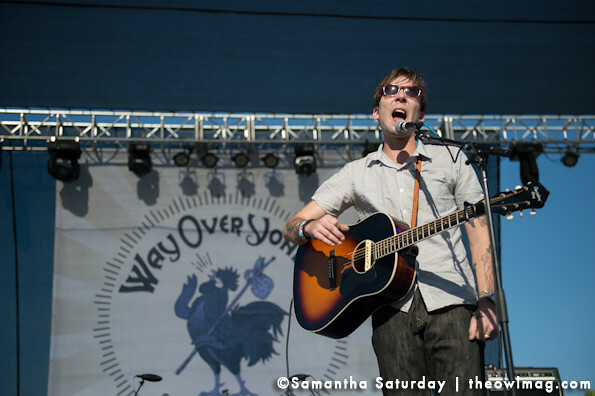 Presented by the lovely people who put on the Newport Folk Festival, the pier was filled with some top notch folk jams accompanied by the ocean waves and sun overhead. 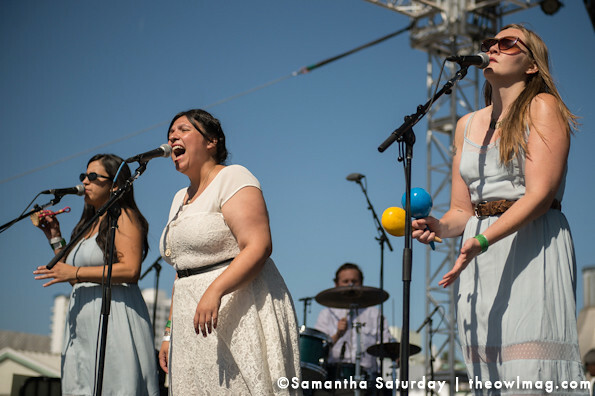 Local up and comers Eagle Rock Gospel Singers ushered in the festival in a big way. As their name suggests, they are a group of friends that have tasked themselves with reviving gospel music with blues undertones. 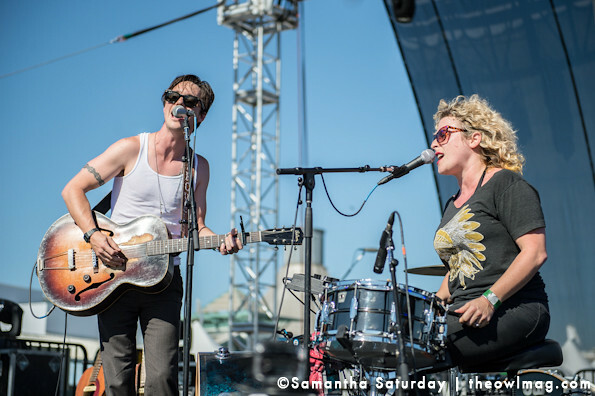 Duo Shovels & Rope from South Carolina had no problems keeping things going. Couple Michael Trent and Cary Ann Hearst faced off on guitar and drums, respectively. 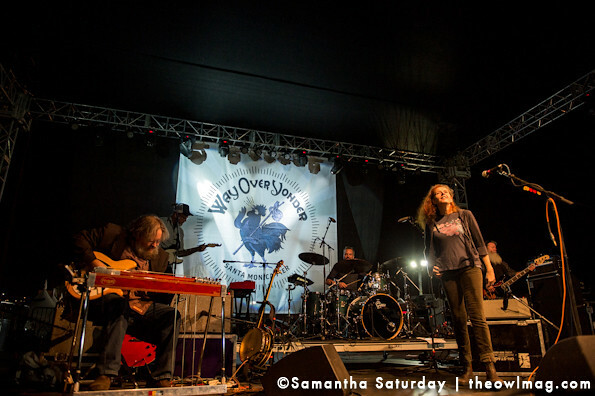 Trent and Hearst held down the stage with their gritty blues. 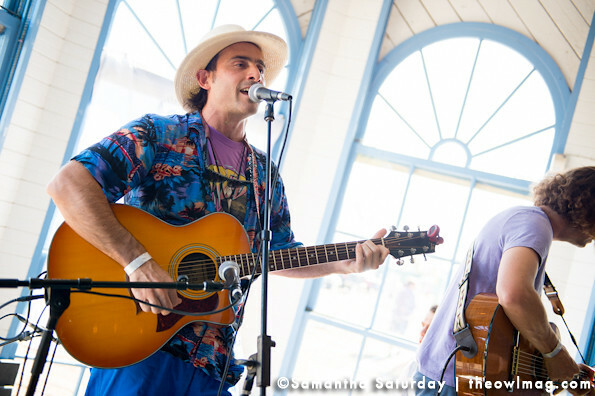 Tucked away in the tiny windowed corner of the carousel building at the pier was a stage featuring smaller folk acts. First up on Saturday was Farmer Dave Scher. If you had been at FYF for Kurt Vile”s set a few weeks ago, Scher would have been a familiar face, as he sat in with the band for several songs. 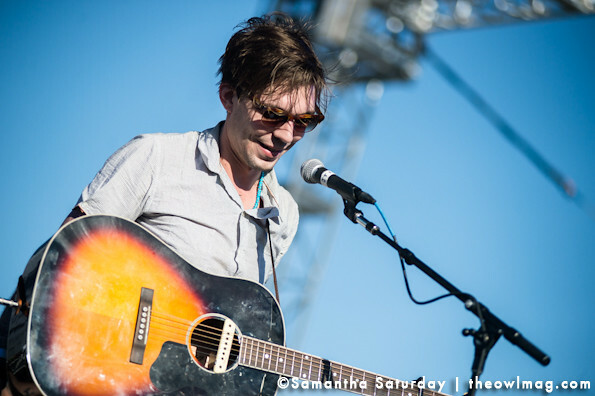 We quickly headed back to the main stage as Justin Townes Earle was taking the stage. Earle was quite the charmer, leading his band though a roaring set of bluegrass tinged rock. 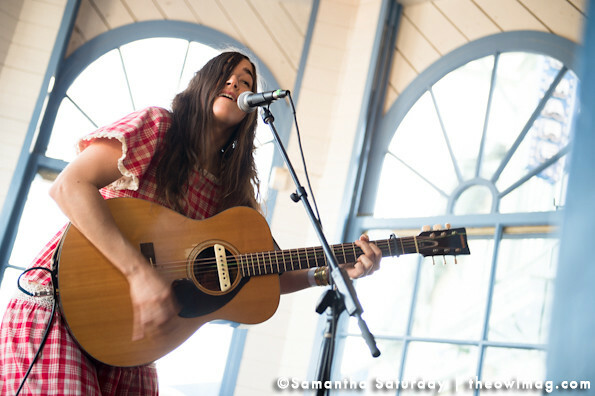 Back at the carousel stage in the tradition of great folk singer-songwriters, Jenny O. played an intimate set with just her guitar. 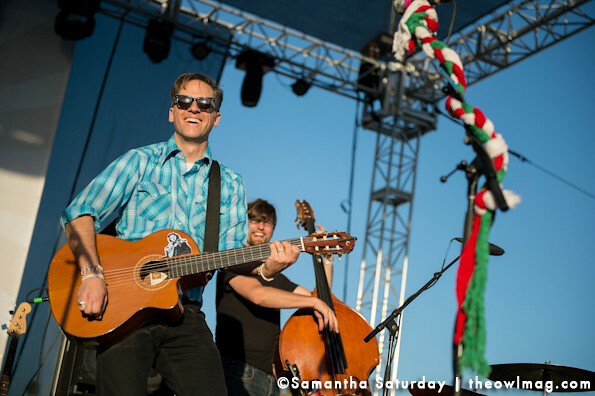 Running a bit behind schedule, we waited with bated breath for Calexico to kick off their set at the main stage on the pier. 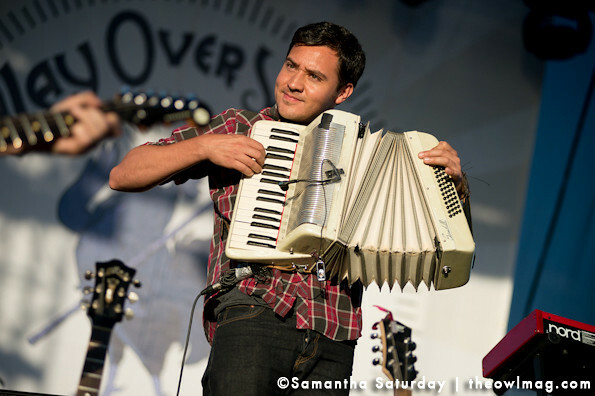 Once they did, however, the band was welcomed with open arms and beaming faces. 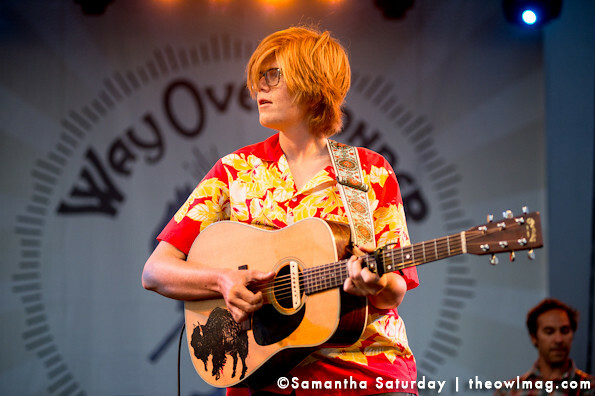 From Northern California, Brett Dennen added a poppier set to the folk festival. 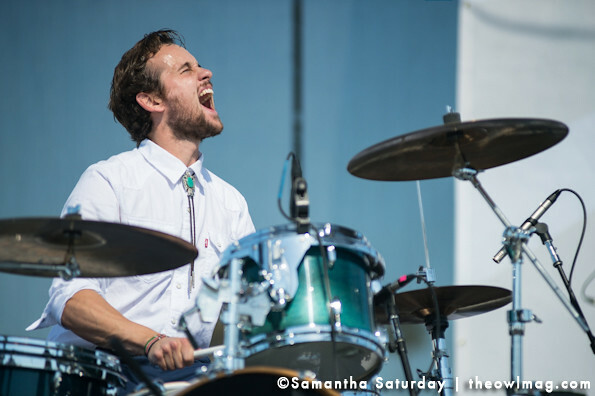 With tunes like “She”s Mine” and “Darlin” Do Not Fear,” Dennen had most of the crowd singing along. 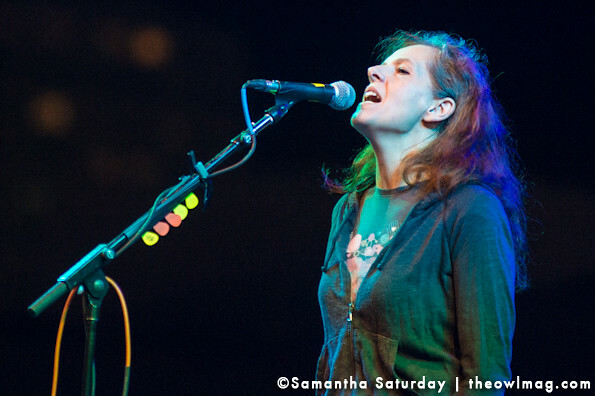 To cap off the night red-headed indie-folk queen Neko Case took the stage, not taking herself too seriously with her quick wit. 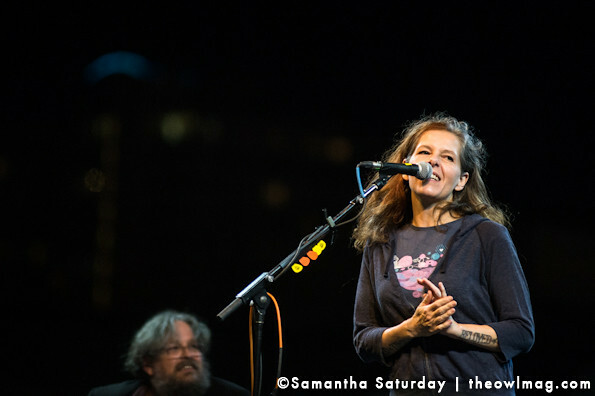 The singer joked around with her band continuously throughout the set, but when it came to her songs you could feel every melancholy chord penetrate straight through you. Miss the festival? Check out more shots from the pier HERE!